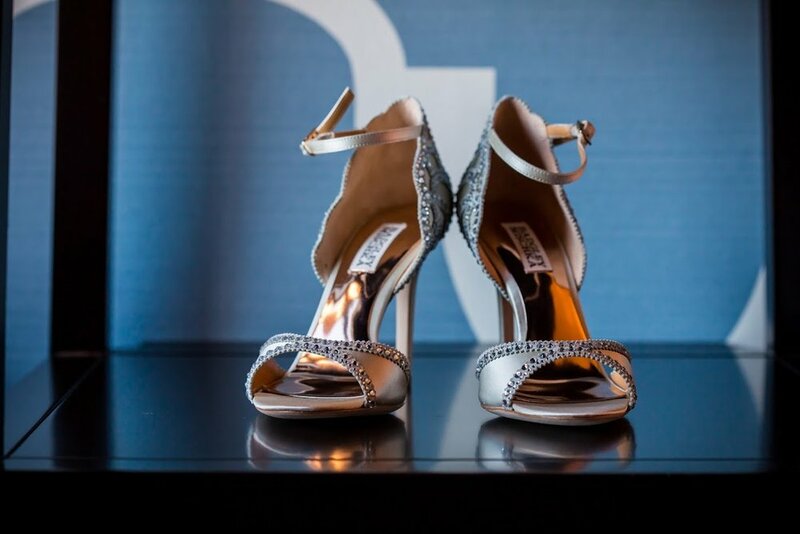 When Mallory came to us, it was clear, she was ALL IN on the wedding planning front. She was super organized and loved the process. However, she had big dreams for her day and knew that she'd need help bringing them to life. So we jumped in and realized we had one of the sweetest couples imaginable! Mallory and Brandon met in college where they both excelled in their respective sports. The athletic, competitive couple wanted a wedding that was representative of them but also of the city that Mallory called home. 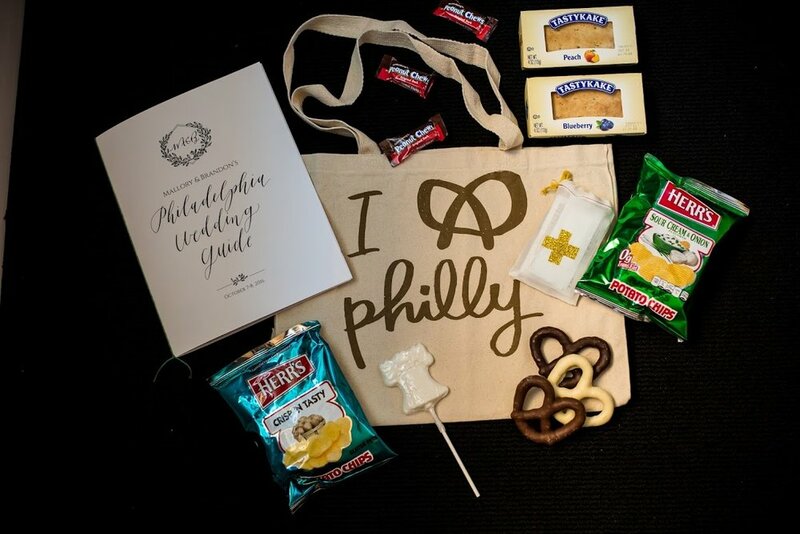 A classic Philadelphia wedding. When we hear that, we know we're paying respects to our founding fathers, our incredible history and architecture and most deliciously, some of the incredible food that Philly is known for. We started with a ceremony at one of Philadelphia's oldest hidden gems, Stotesbury Mansion in Rittenhouse Square. We moved onto a reception at the Ballroom at the Ben and included so many amazing details, you'll have to keep scrolling to see! 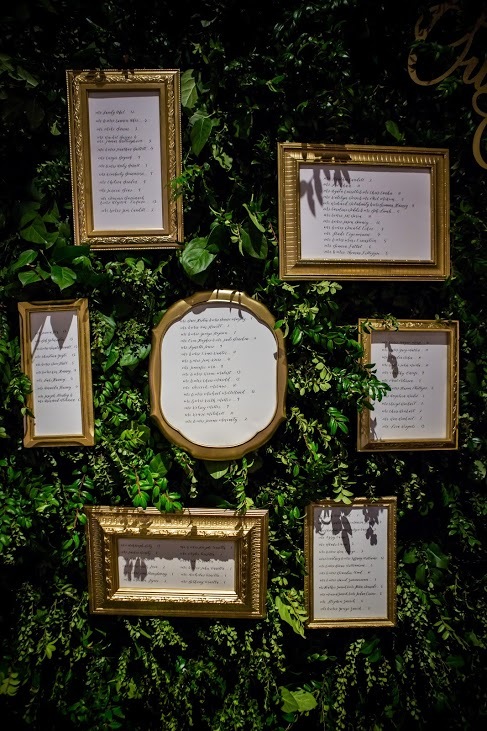 From the Philly Foodie welcome bags to the Declaration of Independence inspired seating chart to the gold mirrored table numbers, every moment was on point and oh so Philly! Oh and the signature drinks: the Betsy Ross & the Ben Franklin, how cute right?!? 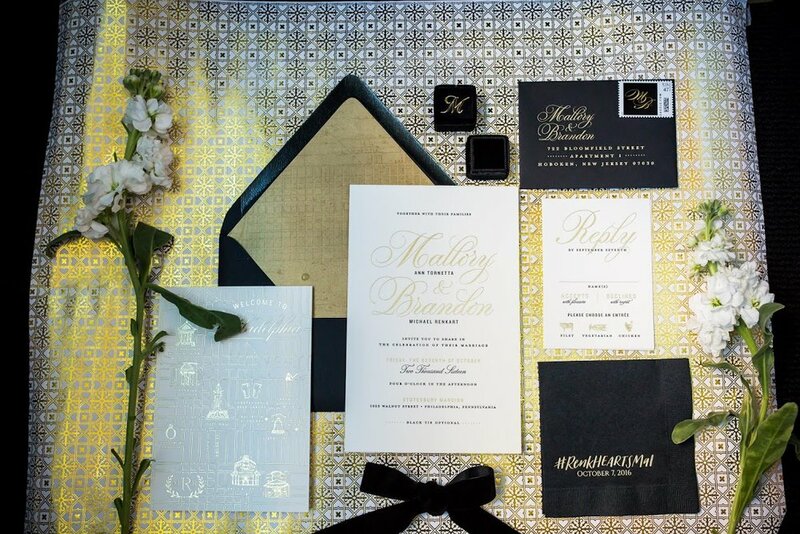 We had SUCH an amazing year helping Mallory & Brandon bring this incredible party to life. And when it was all over, we went through some serious Mallory-withdrawl :) Maybe we can do this all over again?